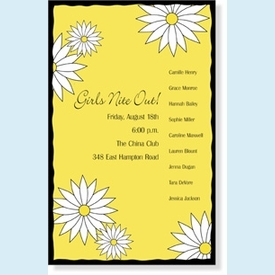 Bold yellow and black make this flat invite stand out with oversize daisies. Great for a spring or summer event, shower or luncheon. NOTE: Only 3 sets left! 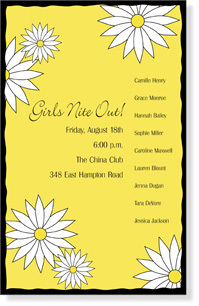 SIZE DIMENSIONS: 5.75" x 9.125"